As it nears to Christmas, it’s time to decorate our houses (if you haven’t already!) and get into the festive spirit. The living room and dining room are probably two of the most popular spaces in the house which get all the attention when it comes to decoration. But one of the areas which tends to often be overlooked is the bathroom, probably because it’s more of private space compared to the living room and dining room – and some might not know how to bring Christmas decor into the bathroom. That’s why we’re here to enthusiastically focus on decorating your bathroom, with some of the best Christmas decoration tips out there for creating a wintery wonderland in your washroom! So let’s bring the holiday spirit and a brand new look to your bathroom this white Christmas, and let it glow, let it glow, let it glow! Replace your existing shower curtain with a new merrier one! Reflecting scenes of Christmas celebrations with food or Santa, snowflakes surrounding a grand Christmas tree, reindeer, ice-skating or other Christmas patterns – whatever takes your fancy indulge in a festive curtain to brighten up your December! While the bathroom area is a little limited in space, a nicely designed shower curtain will go a lot way to bringing the joy and warmth of Christmas into this area of your home. Invest in some wall hanging candles or some generic candles, especially those with special Christmas scents, which you can buy from most shops at this time of year. Cinnamon, nutmeg, ‘festive’ and peppermint are some of the most popular scents for Christmas season. Or you can invest in some festive fragrant potpourri and place inside a nice red or gold tray – but the candles are always a nice touch for the brightness they bring to your bathroom! You may even consider a small Christmas tree, if space allows in your bathroom. Place it by the sink, by the bath, or in a corner to lighten up the room with peaceful and warm Christmas spirits. Remove those bath mats you use all year round and indulge in one that sports a colourful festive design. Pick rug with colours that go with your bathroom colour scheme to enhance the harmonious feeling of the festive season. You no doubt have lights around the tree and the house – so why not in the bathroom too? You can get a cheap pack of fairy lights from online or most stores, which are perfect for lining your bathroom mirror or dotting around the place, wherever works best! Have fun with it, and brighten up your bathroom for just a few quid. Last but not least, decorate your bathroom with assorted Christmas additions, such as Christmas towels, Christmas hangers, and even a Christmas bathroom bin! 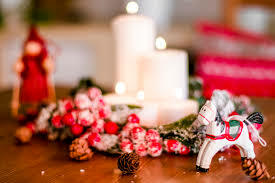 Little festive figurines such as as a dancing Santa to cheer you up in the morning or stick-on snowflake mirror decorations – the devil is in the detail. So get creative! Most of these things can be saved for next year once the month’s up, so have them boxed up and ready for next year, to beautify your bathroom once more. Other than that, keep a look out for any other festive bathroom accessories and we hope you get to enjoy a Christmassy bathroom this season with some of our ideas and tips! If you’re thinking about remodeling and renovating your bathroom but don’t have much space to play with, there are a few design tips, features and bathroom furnishings that might help you maximise what you have! Saving on space in your small bathroom will not only make your small bathroom appear to look bigger, but free up a lot of storage you didn’t even know was there. Here are some of the ways you can save on space and get the most out of your small bathroom this season, put together by our expert bathroom designers. could have in your home! that’s what we’re all about at Top Bathrooms – helping you make a hearty, happy home. been a pleasure for our Milton Keynes bathroom fitters to help create such joy in so many homes – and we’d love to do the same for you! 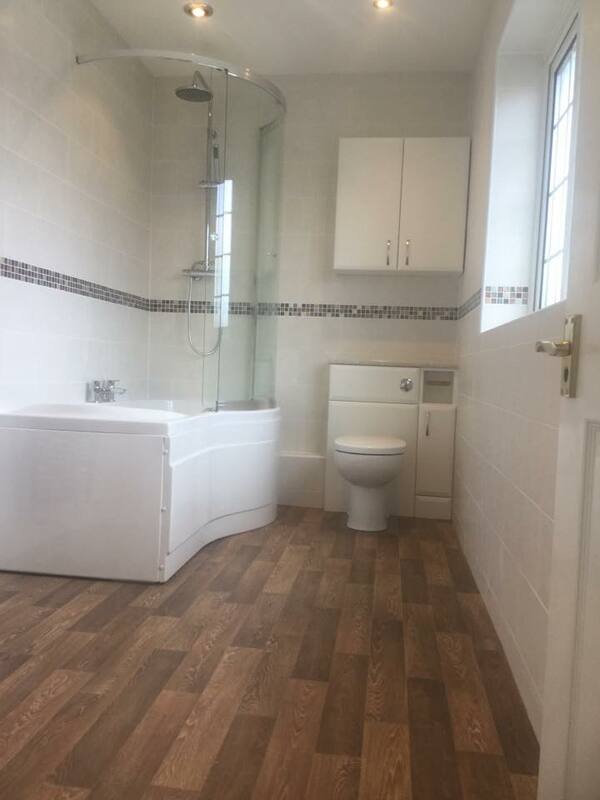 Lovely bathroom completed by us! 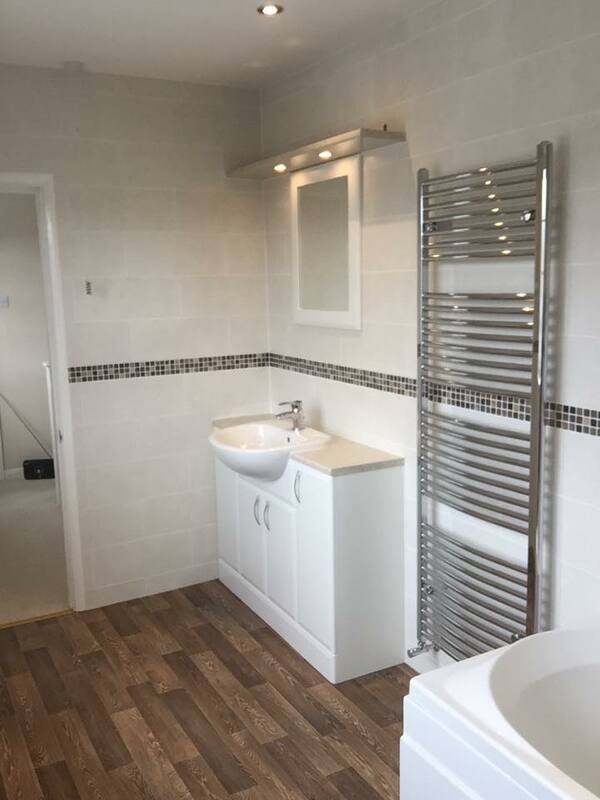 Medium sized bathroom redone by Top Bathrooms! Coloured bathroom suites are back in fashion! It wasn’t long ago that a 50’s or 60’s coloured bathroom suite could break a deal when it came to buying a house. The prospect of having to replace the entire suite to bring a bathroom up to date was often too big a job for many prospective buyers. 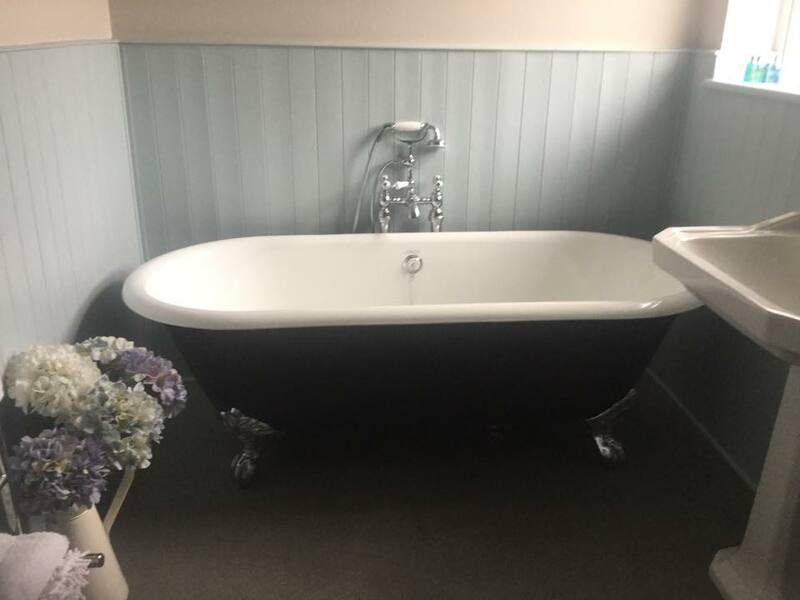 Whilst retro styles have become hugely popular everywhere else when it comes to interior design, many people have still favoured the modern cleanness of a white suite for their bathroom – opting only for the character of a Victorian style bathroom if they wanted to continue a sense of times gone by through the entire house. But times are changing – people are no longer so desperate to get rid of the classic 1960’s suite that was once thought to be a design abomination. Why? Vintage style and cool retro coloured bathroom suites are back in fashion! Big, block colours are back, bold and beautiful as ever, and we’ve pulled together some of the amazing designs we’ve seen across the net to help give you some bathroom inspiration – and see for yourself how coloured suites can work in the modern age. 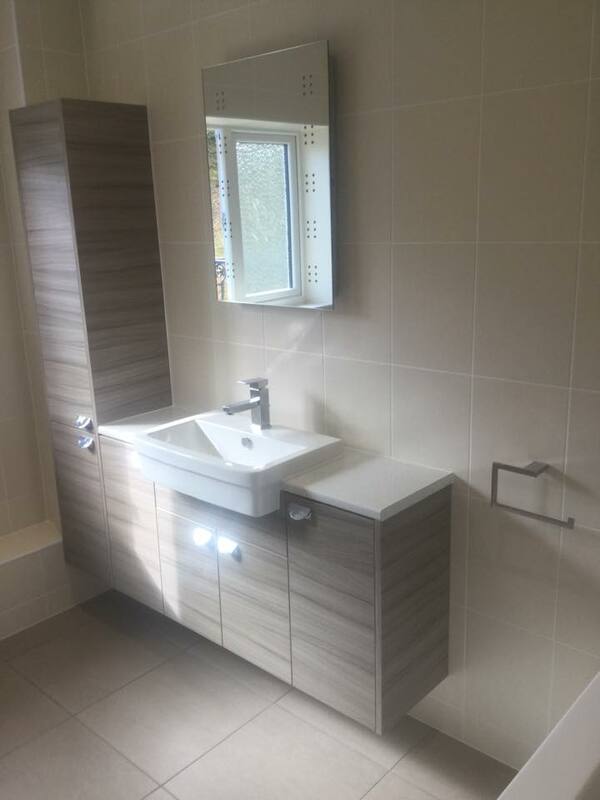 Every bathroom is unique in its style and reflects the lifestyle of the person who uses it. 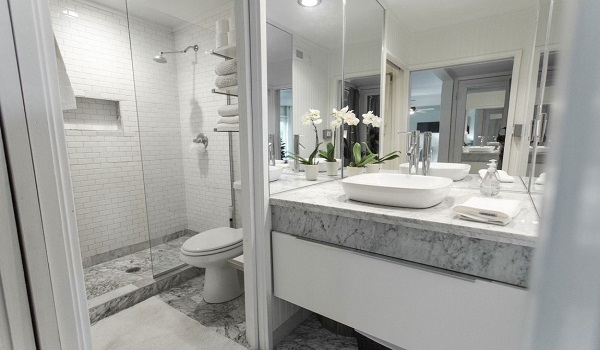 If your bathroom design doesn’t match up with you and your style, it is time for a change! No matter how small your bathroom is, you can find the perfect design which makes it look and feel awesome; a place you want to greet you every morning and night. But before you get straight to the action, you need a plan. This plan should consider some simple aspects related to functionality, storage capacity, creativity, and cost feasibility. So let’s get started!